Ice smoke gently rises from the lake. . .
On December 9, 2019, The Farm Pond Writer’s Collective held our Open Readings. Members shared short works in poetry and prose from our weekly workshop for friends and loved ones. A short video, with a candlelit sampling of the writing, was created by Franci DuMar, and can be viewed below. We hope you enjoy! Join us Thursday night, Oct. 18, 7:30 p.m. in Natick, MA, at Gallery 55! We’re the feature! We're the feature Thurs. night at Gallery 55, bringing the writers of the Farm Pond Writing Collective to the popular Third Thursday readings - 7:30 p.m., Main Street, Natick, MA! 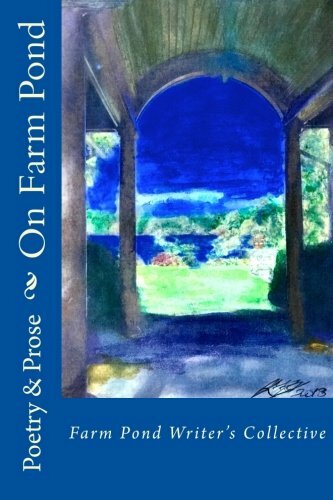 We hope you'll join us as we share powerful writing, and pick up a copy of our On Farm Pond anthology; all proceeds will benefit Care 2 Communities, C2C, a nonprofit founded by FPWC member Elizabeth Sheehan. Watch this videoclip of our On Farm Pond book release gathering June 11, 2018!